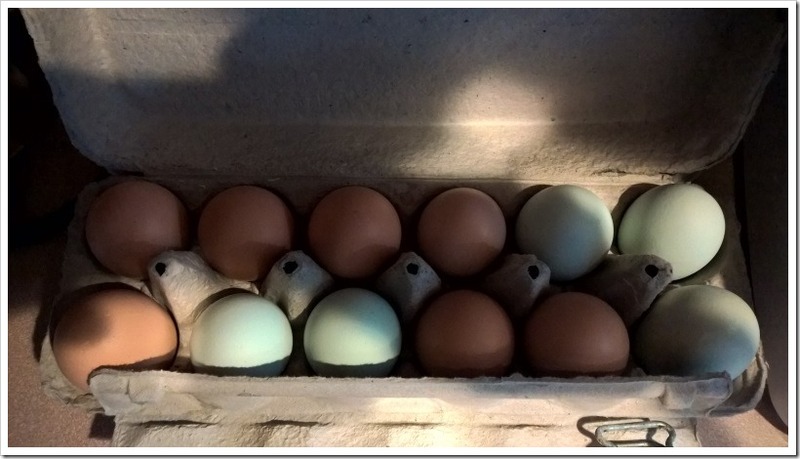 I was cleaning out the coop yesterday and found our first egg. Unfortunately it wasn’t usable because it had been there a bit and gotten cracked. I was expecting it to be a few more weeks, but our oldest hen Willow was showing signs, such as squatting down when you put your hand near her. So I’m not too surprised. 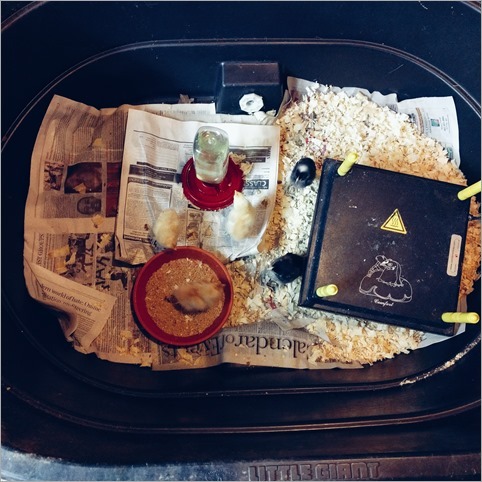 She laid it in the nest, so that’s good. The bad is the girls also think the nest is their sleeping quarters at night. 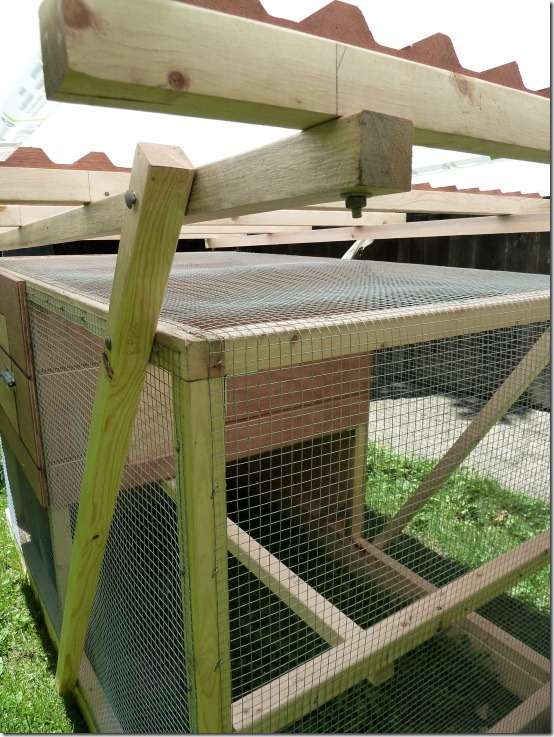 The “nest” is just a wooden box that sits inside the coop, so we can’t close it up at night or anything. I guess I could try turning it around backwards at night and then right side out in the morning, but that might just confuse them. Probably not going to worry about it unless it starts to become a big issue. 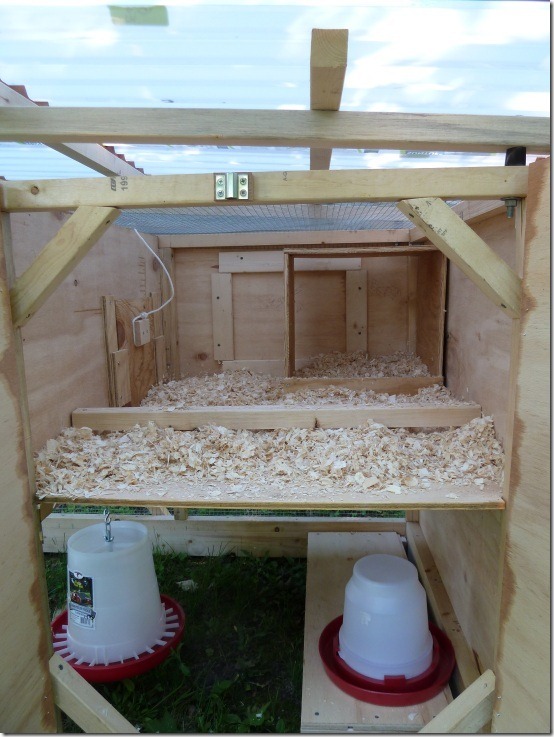 Biggest problem is keeping the shavings clean in there, so I’ll probably have to refresh that daily. But the important thing is we are on our way to getting our own eggs, so that’s pretty cool. 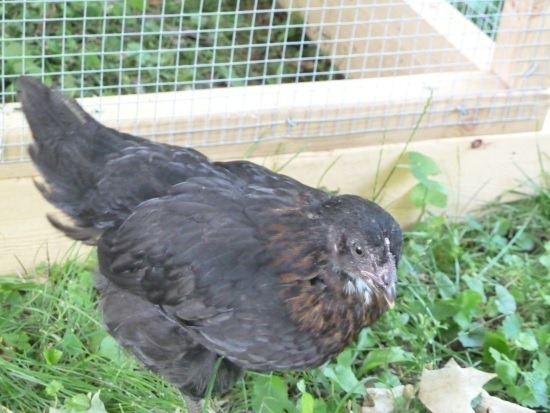 For quite awhile now, getting some backyard laying hens has been on our list of things to do. We even thought about doing it in Chicago and it was allowed, but we just didn’t have the room. 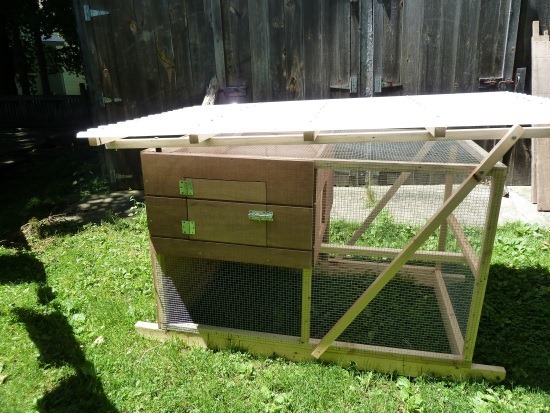 As I mentioned in my previous post, I was finally able to complete the chicken coop and so on Father’s Day we ended up heading out to a “chicken swap”. We joined the Vermont Bird Fanciers group and they put on a number of swaps throughout the year. It’s not just a swap, it’s really more of a place to buy all kinds of poultry, rabbits and other animals. In addition to chickens, we saw a number of different types of rabbits, geese, ducks, pigeons and guineas. We ended up finding one vendor with a good variety of the breeds we were interested in and they raise them organically for the most part, so it was a good fit. We weren’t sure there would be a good selection, but actually it was pretty good. 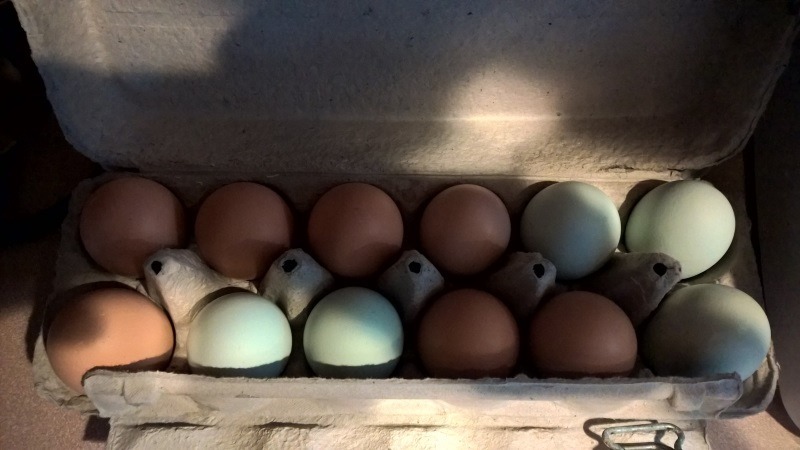 Since we originally wanted to start in the spring, I was looking for either pullets or perhaps hens that were already laying. 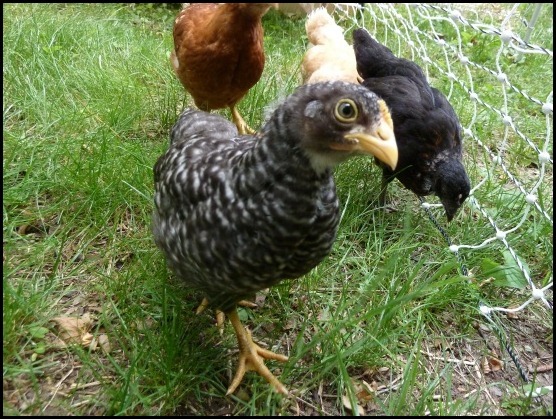 There were plenty of pullets available and the ones we bought should be laying sometime this fall if all goes well. 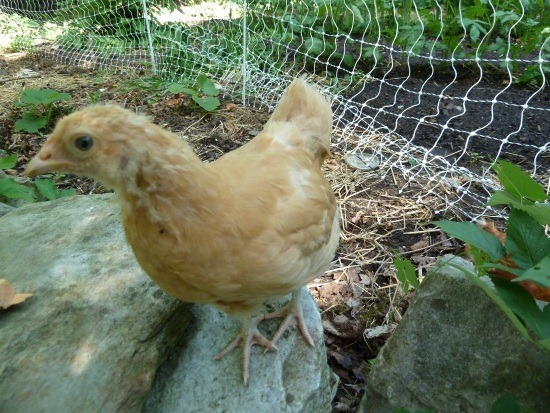 Buffy (Buff Orpington) – I’m sure we aren’t the first to do that. Faith is the most curious and/or dumbest, depending on any given minute. 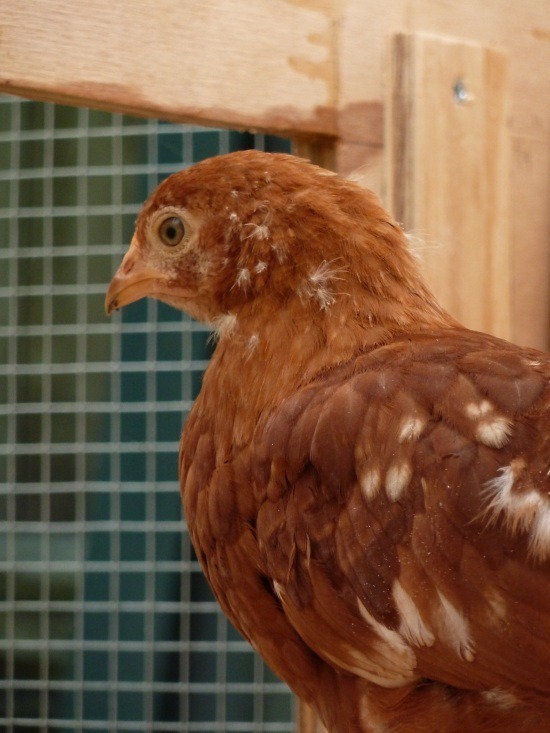 She is the most personable hen and is very friendly, although she throws a fit when she is held. 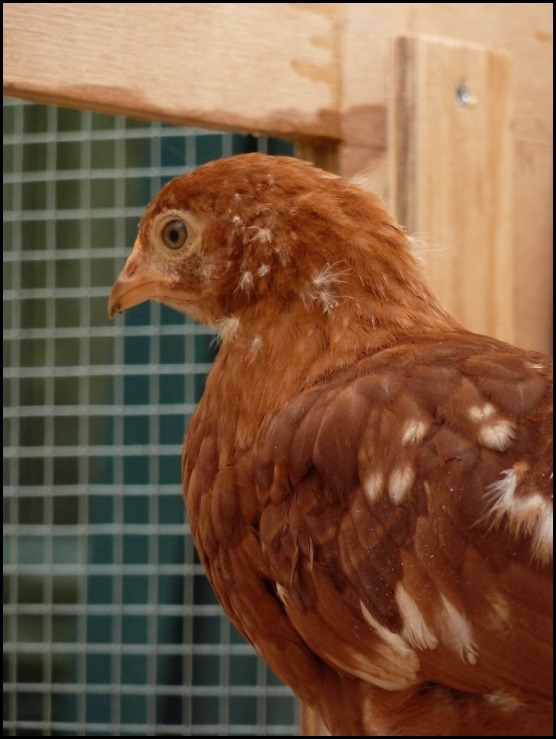 We think she may end up as the alpha hen, but not sure yet. These hens pretty much immediately started foraging, scratching and generally acting like chickens should. We put up some poultry netting (without power for now) and let them run around the yard and garden. They figured out how to crawl through that almost right away, but once they are bigger it will be a bit harder. They have already taken to exploring the garden and we are hoping to make them our bug catchers. After already bribing them with hand-picked slugs and other goodies, they seem to be getting the idea pretty quickly. 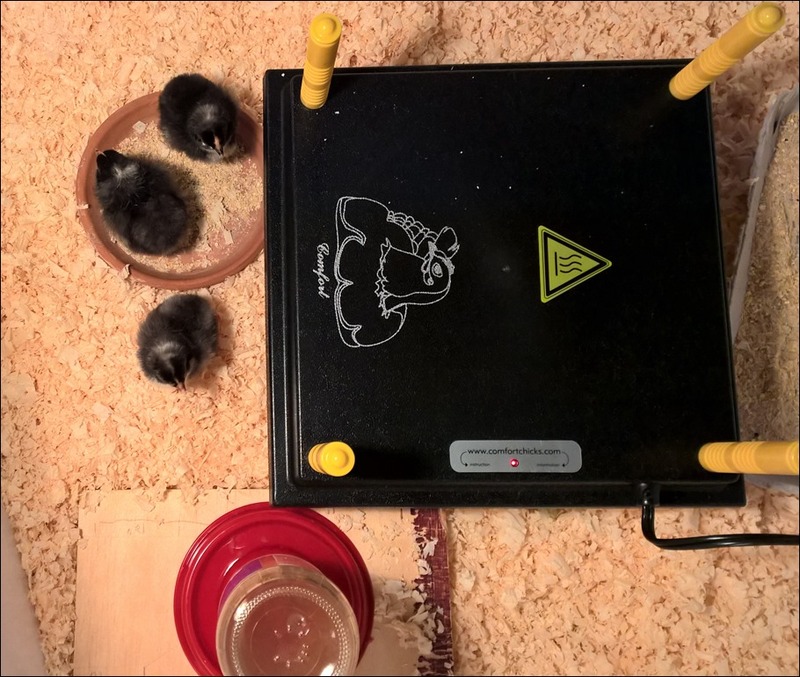 We’ve now had them about 5 weeks and they seem to be settling in just fine. They are growing like crazy and love helping us with our Japanese beetle issues. They are certainly a source of endless amusement and make weeding a lot more enjoyable. 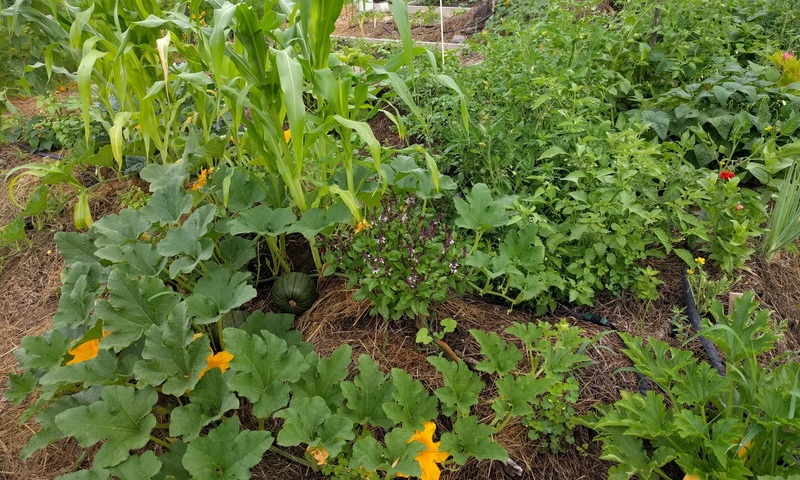 When we first starting thinking about getting some land and possibly farming, one of the things I quickly realized is the importance of knowing how to do things for yourself. A farmer needs to be a bit of a jack of all trades. Honestly, knowing how to get around on a computer is a relatively minor one of those trades. 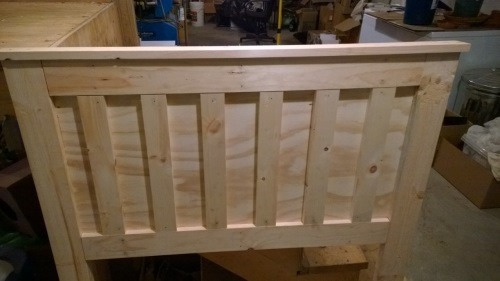 So I’ve been slowly trying to learn how to do some practical things for myself and one of those things is light carpentry and woodworking. I didn’t get much opportunity to do that in Chicago. 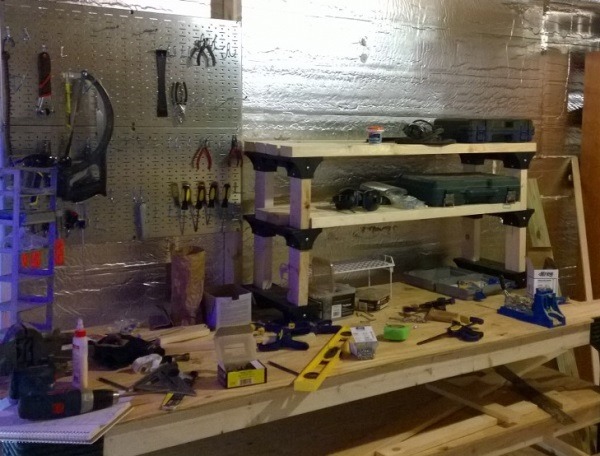 There just wasn’t enough room for a shop or lots of tools or much to really work on in a small condo. I was able to help a few friends with some remodeling here and there, which helped a bit. Once we got the house in Bristol and I had the possibility of actually having a small shop again, I started to think about what kinds of things I could start with. I decided to do two projects. Instead of buying a wheelbarrow or a cart, I would build one. And I would try to build a small chicken coop for a backyard flock. 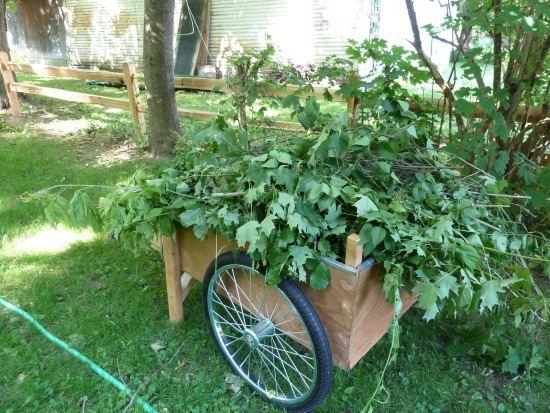 I already had a good idea of what kind of cart I wanted to build, Herrick Kimball’s “Whizbang Garden Cart”. 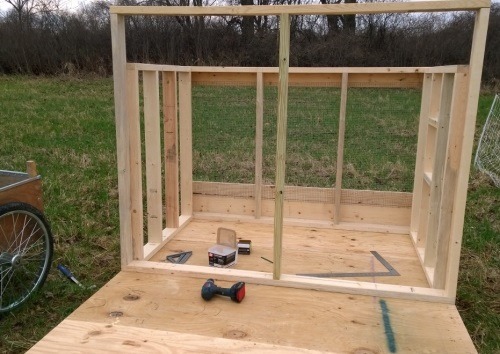 Mr. Kimball has several great blogs about agrarian life and various DIY projects. I discovered him over the course of various research I was doing into all things farm-related while in Chicago. 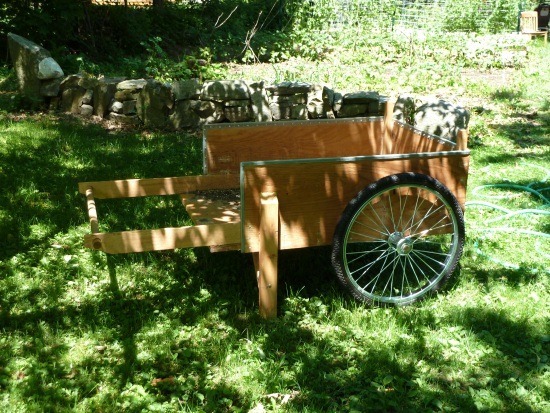 This cart is modeled after the “Garden Way” carts that were popular for years in New England, but it’s made out of simple materials and a fairly easy starter project for a beginner like me. 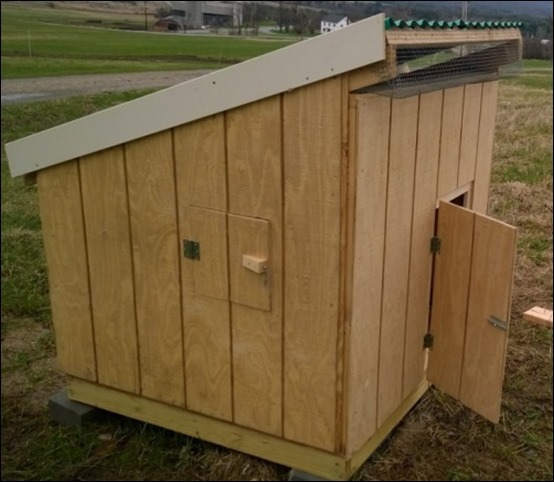 Figuring out what kind of coop I wanted to build turned out to be a bit harder than I expected. I even bought a couple of books specifically about coop designs and plans, but nothing was quite what I was looking for. 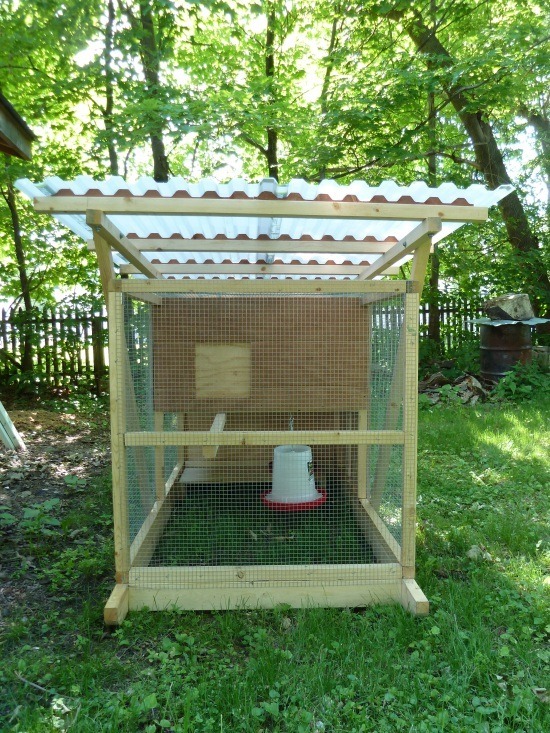 Many of the plans would be great if I wanted to build something permanent or I was going to get 10-20 chickens or more. The smaller coops were too simple and would require fencing in a large run or they simply weren’t robust enough to keep chickens in through the winter. So I kept looking. I can’t remember where I finally found the plans I ended up using. 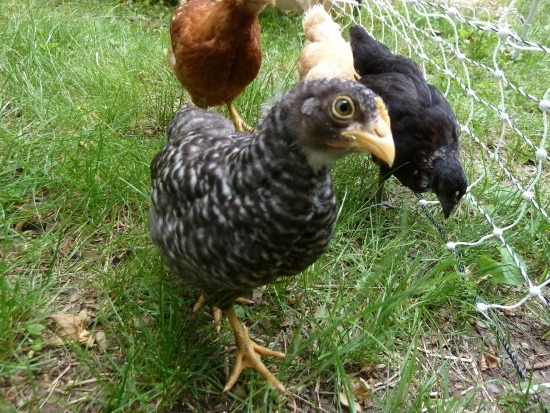 I believe it was through the Backyard Chickens web site. 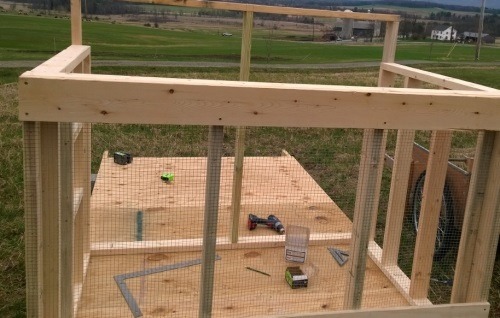 I decided to go with the plans from theGardenCoop.com. They have both a small coop design for 3-4 chickens and a larger design. I like both of them a lot and may end up building the bigger plan at some point as well. These plans weren’t free, but they were reasonable given the quality and attention to detail in the plans as well as the thoughtful design. They are once again very step by step and don’t assume a lot of advanced carpentry knowledge. There are even nice general carpentry tips thrown in along the way. These projects probably took me about 10 times longer than any reasonably competent carpenter, but it was still very satisfying for me to see these projects through and be able to enjoy the end result. 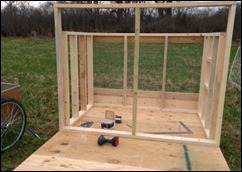 I’m also thankful for helpful lumber yard, hardware and metal shop folks who were willing to assist and answer beginner’s questions, as well as my carpenter friends here in Vermont who offered tips, loaned me tools and did some table saw cuts for me.